Hi all! 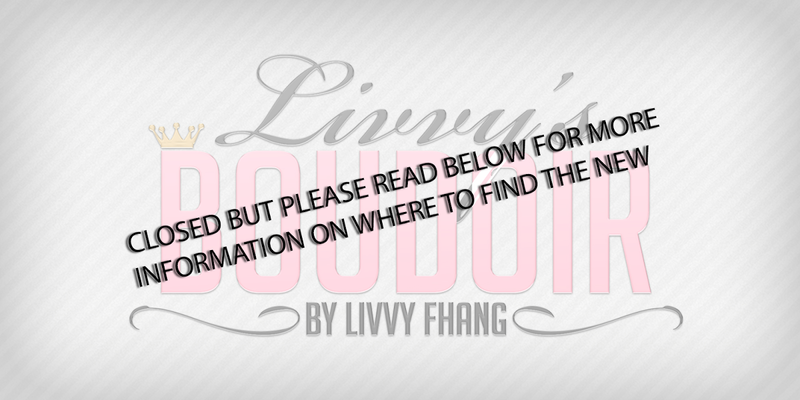 Livvy here, and I figured you might want to know what is going on with this blog. Well I started it back in 2011 on Christmas Eve because ... well .. I was a store manager and an event manager. I always felt really bad for getting items and not 'earning' them. One store owner told me, I should give a go at blogging. I was already into photography, well as good as one could be for a noob learner. So I started out my journey learning all the things I could about blogging and being a blogger. I had so much help from some really amazing already established bloggers and I learned the ropes. All these years later here I am still blogging away at the fashions that I love, and continuing the self learning of Photoshop and all the fun stuff you can do to manipulate a picture. Yes, that is really how that went down. I really came off as uninterested, but you know what, deep down I was still feeling him in a way that meant the everything to me. Talking to him again was like nothing has changed. It was a natural fit, it was always a natural fit. We decided that we wanted to give this another go, and that is what is happening. And besides not wanting to take my shoes off in the house like a true Asian (cause he is totally all Asian) would ... we get along just fine! Now we are taking another journey together. I am opening up the blog for him to share in this experience too, because he loves being in my pictures, and I love watching him flourish as a talented man. Caleb writes good, makes great couples poses, and he is mine.